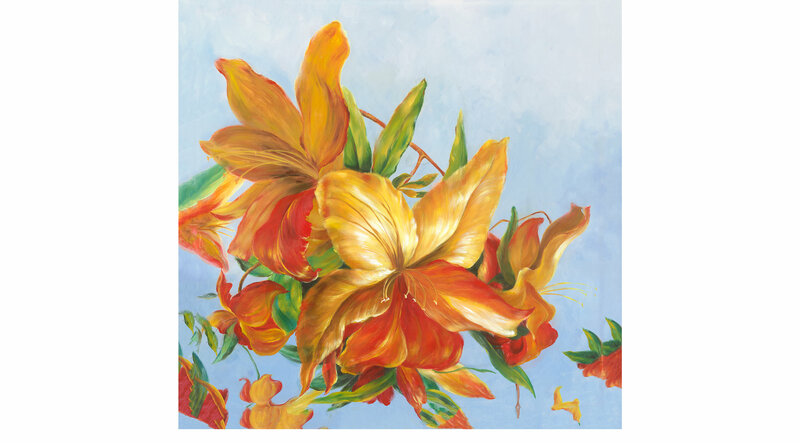 The tropical Shades of Orange artwork shows off exotic flowers in bright colors against a blue sky. Bring the feel of the tropics to your home, whatever the season. Meant for larger spaces, the canvas is stretched on a square frame.